Push notifications can deliver a wide range of different messages and media types in an attention-grabbing way that users don’t often see. This makes them a great strategic addition to multichannel marketing campaigns. Targeted emails are good for calls to actions and value-adding content, and targeted banner ads are good for name recognition, but push notifications put your brand right in the user’s face when they are most likely to click. This, combined with a huge range of versatility greatly enriches your digital marketing campaign. Another exciting aspect of push notifications is their ability to bypass the barrier of needing personal information to send messages. This allows a site to send reminders about deals, provide important brand info, or rescue a forgotten cart without needing an email address. They can also include calls to action to convert visitors into leads. As for identified leads, push notifications can provide special offers and information to push them further down the buyer’s funnel right when they come online. An individualized approach, regardless of the user’s history with a brand. This is what makes push notifications a strong conversion tool at any point on the buyer’s journey. Push notifications also have the massive benefit of not being confined to a single look or purpose. A company can choose what header they show, what links are attached, and whether to include icons, images, or gifs to enhance the user experience. There are also many options for the action the push notification drives. For instance, YouTube sends out short notifications to users whenever a channel they follow releases a new video, which attracts users back to the site. The same idea can be used for a company looking to attract potential customers by flagging articles the reader might like based on previous visits. These could be advertised as push notifications and used to remind the user to return to the site. This concept also applies to retail sites. Push notifications can examine a user’s cookies, and use machine learning algorithms to recommend the products they’d be most likely to want. The possibilities are limited only by the marketer’s desired user action. Beyond appearance and function, timing advertisements and CTAs also plays a large role in digital marketing. Push notifications shine on this front too, allowing the marketer not only to automate messages for when the user is active, but to control many other aspects as well. Contact lists can determine which users see which pushes, what time they see them, and even during which part of the year. This attention to detail and personalization for the customer is one of the reasons push notification have such high click-through rates. Finally, push notification marketing is remarkably easy to use. Where other marketing automation techniques may be difficult and unwieldy, it is easy to set up and customize a huge number of customized pushes with a few keystrokes. 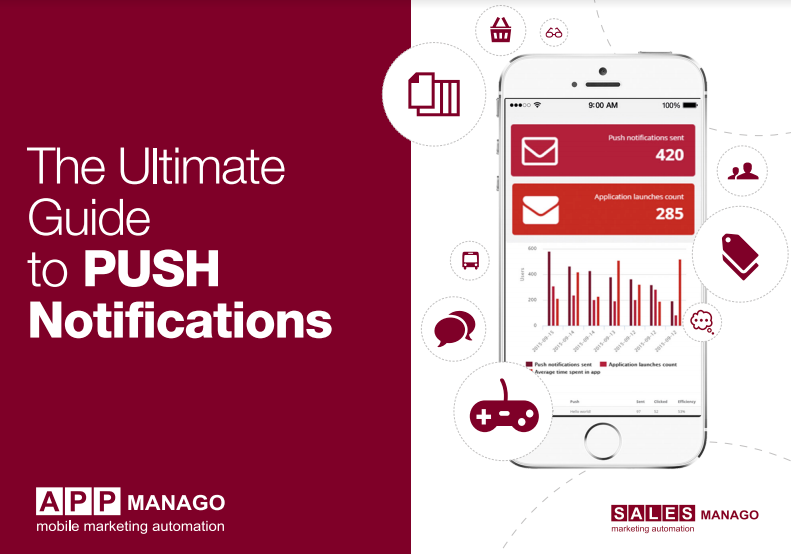 Services like SalesMango provide user-friendly setups to immediately add push notifications to a company’s digital strategy. 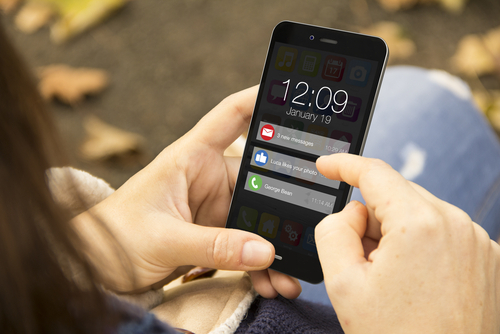 With such obvious benefits and a low bar for entry, push notifications are the best way to grab user attention while online, and turn interest into conversions. For more information on how to implement today’s cutting-edge marketing tools into your digital strategy, download our ebook.